If you follow me on Instagram or been reading this blog for a while, you know that this past summer I went on a UK trip, spending four days in London, and three days in Cambridge. There are still more pictures to come – I know it’s supposed to be instant, but I’m not about that life – so stay tuned for more of my favorite moments and sights on Instagram! 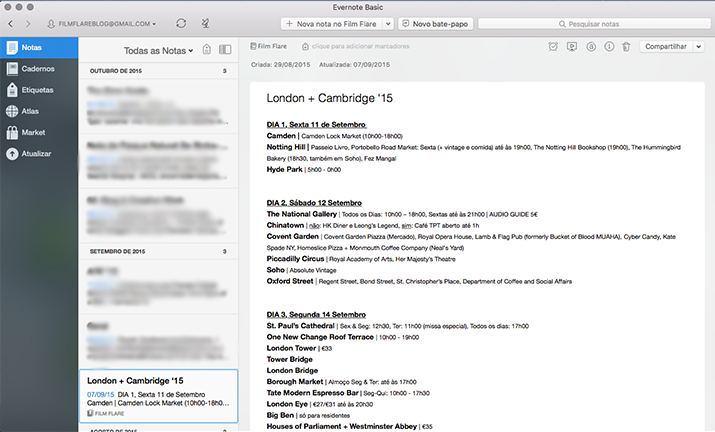 This will be a series of posts: this first one detailing how I planned the trip, focusing on the most useful apps I turned to; the rest will be a kind of walkthrough of the seven days we spent in the UK. I prefer smaller posts at this point, so it is possible to have only one/two days per publication. First stage of planning was making a board with everything we wanted to see (and oh, eat) in both cities. So Pinterest‘s map boards were clearly the smart choice: not only it ensures you don’t forget anything, but also you end up with your very own personalized trip map, which really helps planning out the days. And because it allows multiple contributors, it’s perfect for co-planning. Most of what I pinned came from lists comprised by travel bloggers and BuzzFeed, but every now and then – especially when it came to restaurants – I took a more traditional approach. Time Out is obviously the guide to a city’s main events, and a staple in assessing an establishment’s quality. Same goes for TripAdvisor, which is also good for finding a place to stay but, since we had that covered beforehand, I used these two specifically to search for trustworthy places to eat in Chinatown. Funnily enough (now I can laugh), on that day we ended up in a pretty shady restaurant. And not just for orientation! 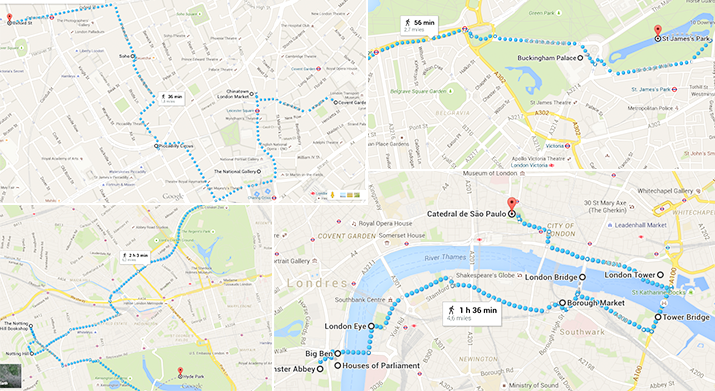 While this was obviously our go-to app for finding our way around London, Google Maps was actually very useful when coming up with an itinerary. The Pinterest map may give you a visual impression of where is what, but you’re left with no clue as to how to get there, and most importantly, how long it will take. 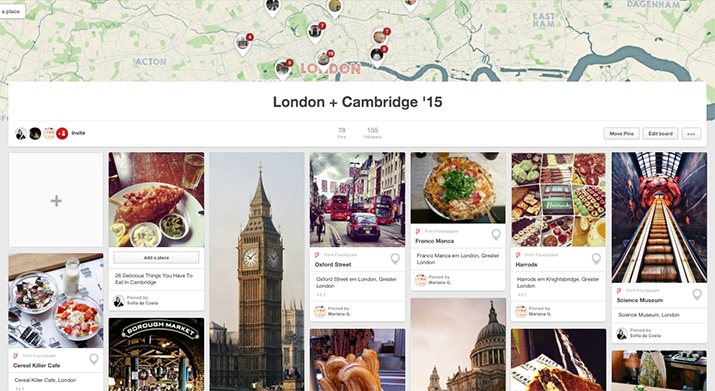 Maps does that for you, and so we were quickly able to plan four days in London, easy. From the picture above you can get a sense of what we did on each day. Only one day in London had two neighborhoods with considerable distance between them: Camden and Notting Hill. Everything else was pretty walkable! I had to write the itinerary somewhere, right?! Not essencial by any means, but this is an app I’ve used for a couple of years now (mostly for blogging and just overall note taking), so of course I turned to it when it came to save the itinerary somewhere I could easily access it, no matter where I was. For some reason, Google Maps didn’t always (if ever!) show me the bus lines. Most likely an error on my part, yes, but Citymapper is a great app regardless of my own technologic ineptitude. It will show you several routes for all transports, how long each takes, how much it will cost you, and even how many calories you will burn if you stop being lazy and just walk there instead. Do your research on travelcards and whatnot beforehand, but from my experience just know that we took about 2-3 buses a day (better than the subway because you get to see the city! ), mostly to get to a neighborhood and then return to King’s Cross (we stayed in Cambridge) at the end of the day. The city is flat, so you can pretty much walk everywhere without getting too tired. 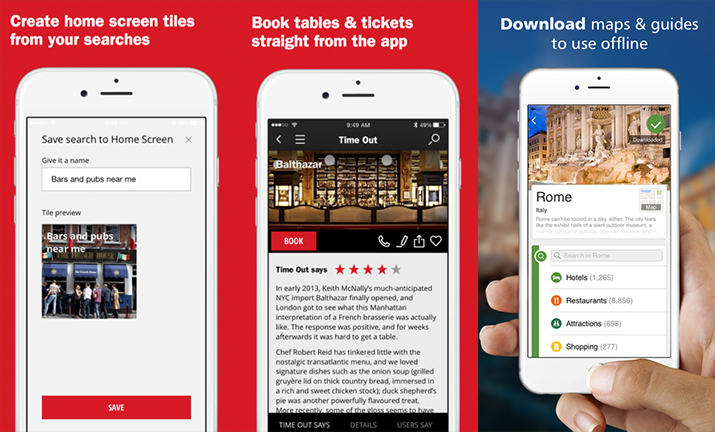 What apps do you use when planning a trip and traveling? Previous Post FWeekly: How Could I Have Known That Murder Can Sometimes Smell Like Honeysuckle? 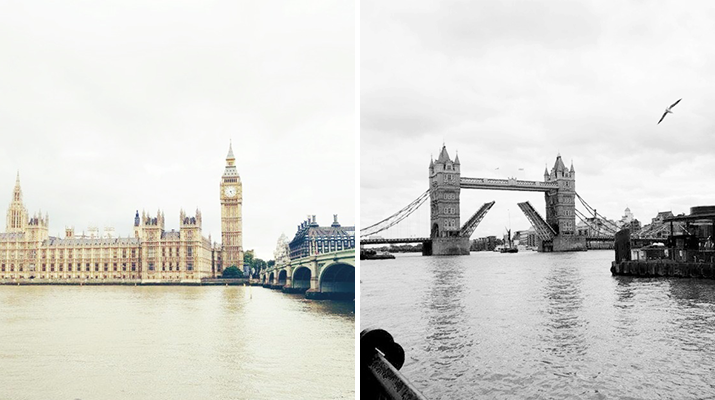 Glad to hear you enjoyed your time in England! I used some of these apps before too – especially Google Maps – but I think the most useful one for me would be the London Tube app. Every time I’m in London I use the tube religiously to get around. Taxis are too expensive and I’m terrified of taking the buses. There’s also a great trains app but I can’t remember what it’s called (sorry). Looking forward to the rest of your UK Trip posts! I had the Tube app, but we only used the subway a couple of times so Maps was enough for that. We were in a sightseeing mood, so buses seemed like the perfect choice, and turns out it was super simple to get around like that. Why are you afraid of London buses??? Maybe it’s the National Rail app? Sounds like a good one. Oh I also used the official Public Bathrooms app, until I realized they were disgusting! Google Maps is definitely a top app I use while traveling. I also research on the local transportation apps (bus schedules, subway routes, etc) if the city has any and download them before I go. The buses in London are a great way to see the city! Looking forward to reading about your trip! They are great, right? The first time I went to London I didn’t get on a single bus and thought that was rather silly – who goes to London and doesn’t ride on a red bus?? Nos últimos tempos tenho andado a planear uma viagem a Londres. Queria realizá-la o quanto antes mas, possivelmente só para o próximo ano é que a concretizarei -.-. 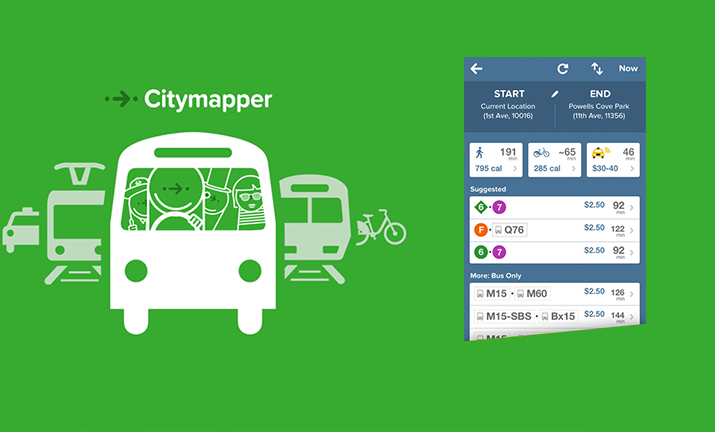 No entanto, deste-me aqui uma aplicação que não conhecia e realmente deve ser útil, o citymapper. As restantes também considero fundamentais, principalmente no evernote e o google maps xD estou sempre a atualizar o roteiro com estas duas aplicações. O citymapper foi muito bom porque por algum motivo o meu Google Maps não estava a funcionar para os autocarros :/ Portanto foi bom ter essa app porque nós andamos sobretudo de autocarro.